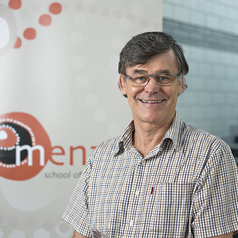 Professor Sven Silburn co-directs the Centre for Child Development and Education at the Menzies School of Health Research in Darwin and is an Adjunct Research Fellow at the Telethon Institute for Child Health Research in Perth. His current research is focused on developing evidence-based policy and practice and conducting evaluative studies in child and youth health, early childhood development, school education and child protection in the Northern Territory. Prior to taking up this position in 2009 he co-directed the Curtin University Centre for Developmental Health at the Telethon Institute for Child Health in Perth. He has played a leading role in a number of influential large-scale epidemiological studies in child health, development, education and mental health including the WA Child Health Survey, the WA Aboriginal Health Survey, the Longitudinal Study of Australian Children, the Longitudinal Study of Indigenous Children, and the Australian Early Development Index. He chaired the WA Ministerial Council for Suicide Prevention from 2002-2009 and has served on a number of national advisory bodies including the Board of the National Suicide Prevention Advisory Council, the consortium advisory group for the Longitudinal Study of Australian Children and the steering committee for the Longitudinal Study of Indigenous Children.